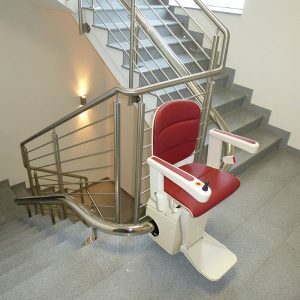 One of a range of straight stairlifts available from Somerset Stairlifts & Mobility. 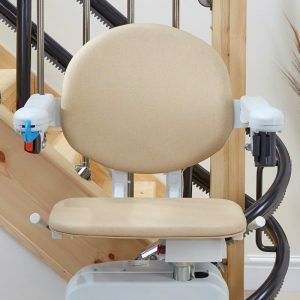 For customers requiring a powered chair lift the Simplicity is a stylish solution, designed to overcome the challenge of climbing straight stairs. 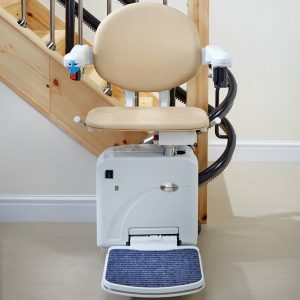 The Simplicity Stairlift is installed directly onto your existing staircase – so no dirt or dust during installation. 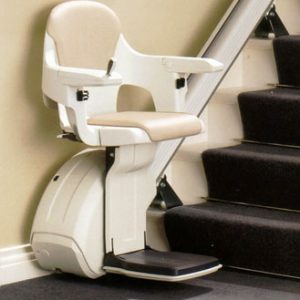 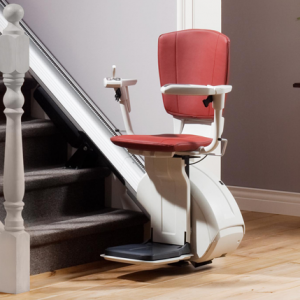 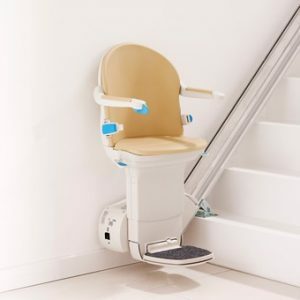 All the basic functions that you would expect from a stairlift. 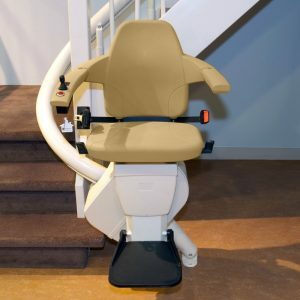 Supplied in a neutral, beige, wipe clean upholstery. Fitted to the stairs, not the wall. 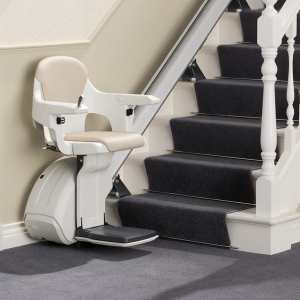 No need to redecorate following installation. 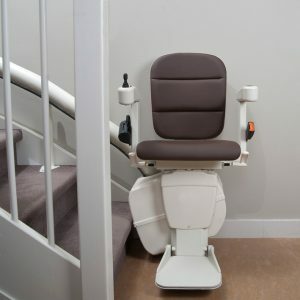 Battery backup, so the stairlift will continue to work in the event of a power cut. 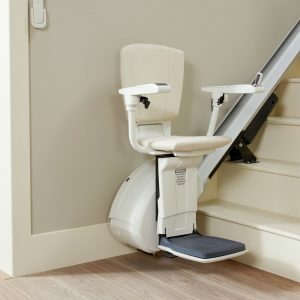 The unit, once folded can be moved along the track freeing up space in the hallway. Safety sensors that are designed to stop the stairlift if it meets any obstruction on the stairs. 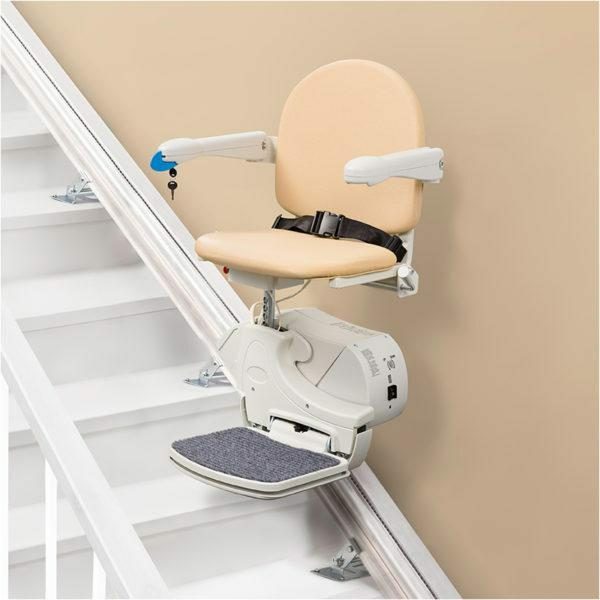 Clip operated seat belt for added security and peace of mind. 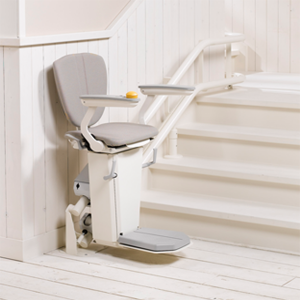 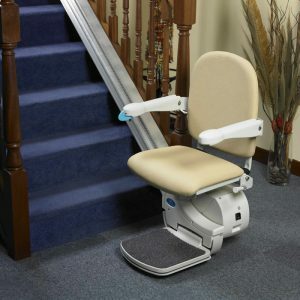 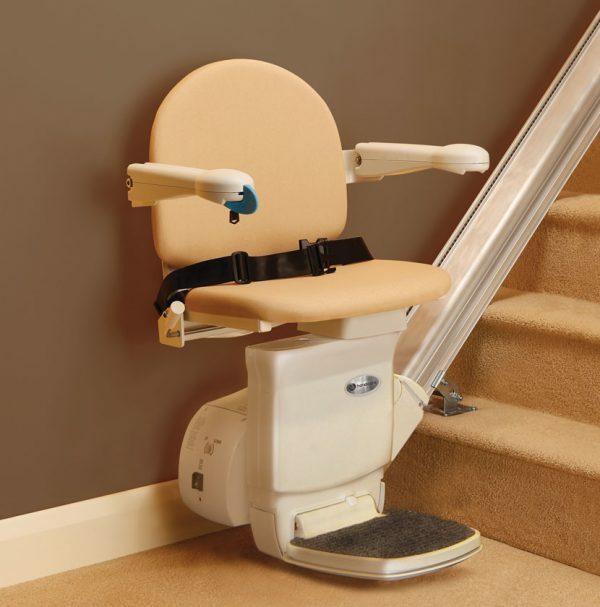 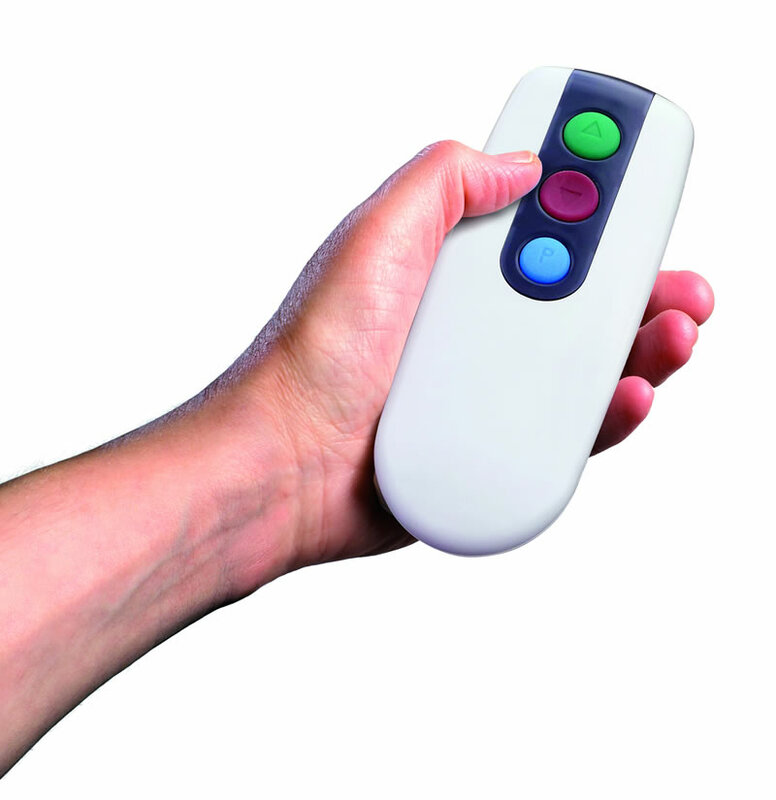 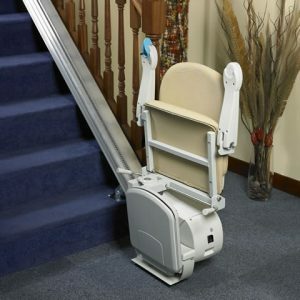 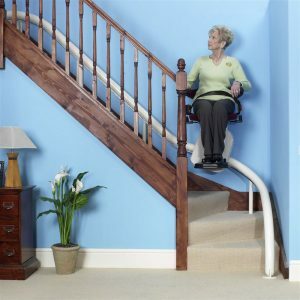 Easy to use operating toggle will move the stairlift smoothly up and down the stairs.